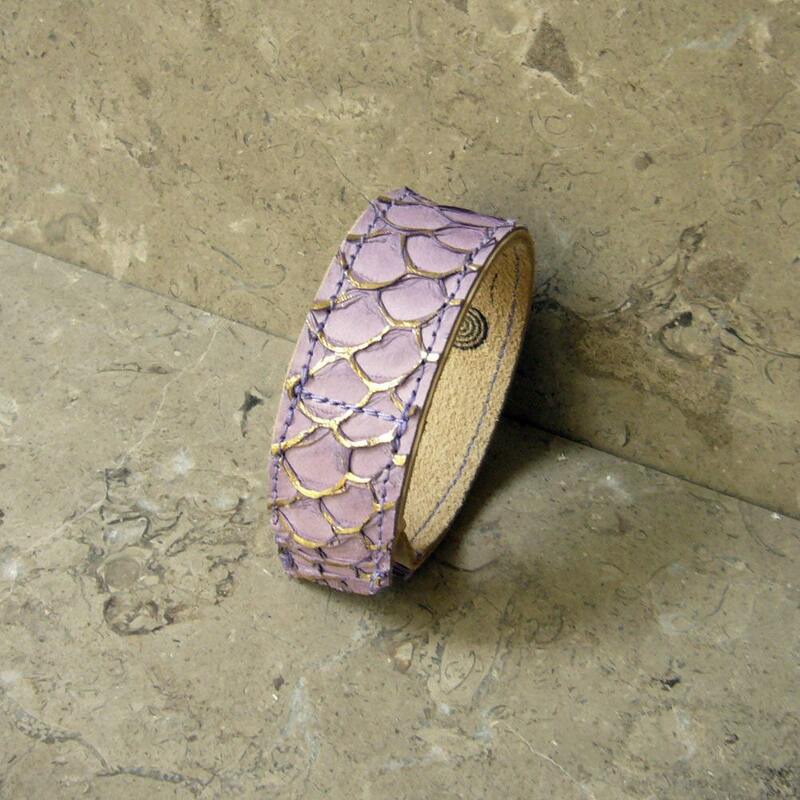 This leather cuff is made with an unusual Crucian Carp skin (fish leather) that is soft and thin, and is dyed lavender and the outlines from where the scales had been are tipped with gold. It is layered over a soft and thick buff cowhide. 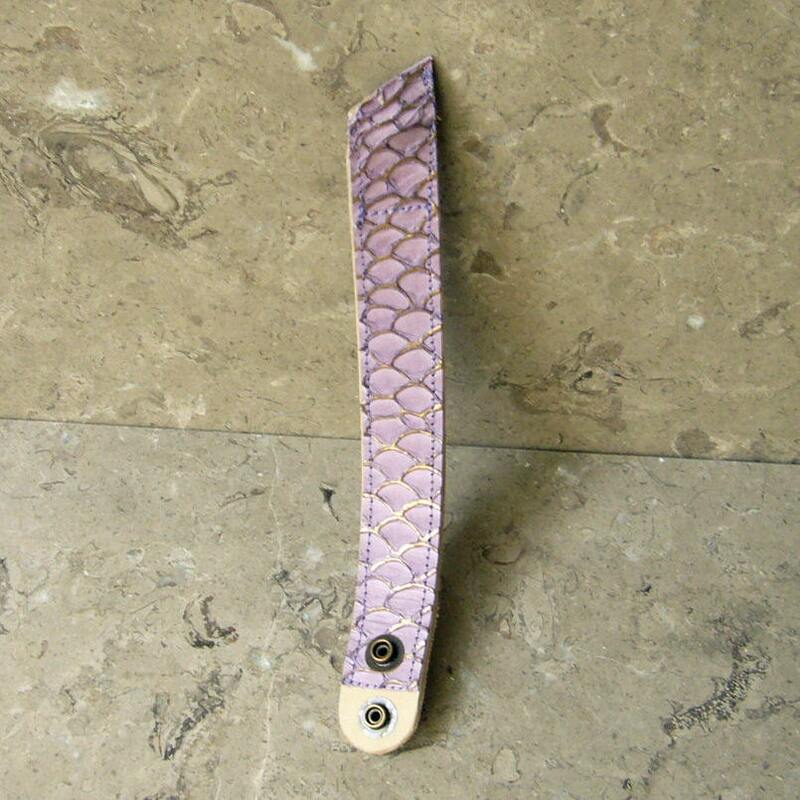 The cuff is 1" wide, and 8 1/2" long total, and secures with "baby dot" antique brass snap, with the cap hidden under the raw end of the carp skin. 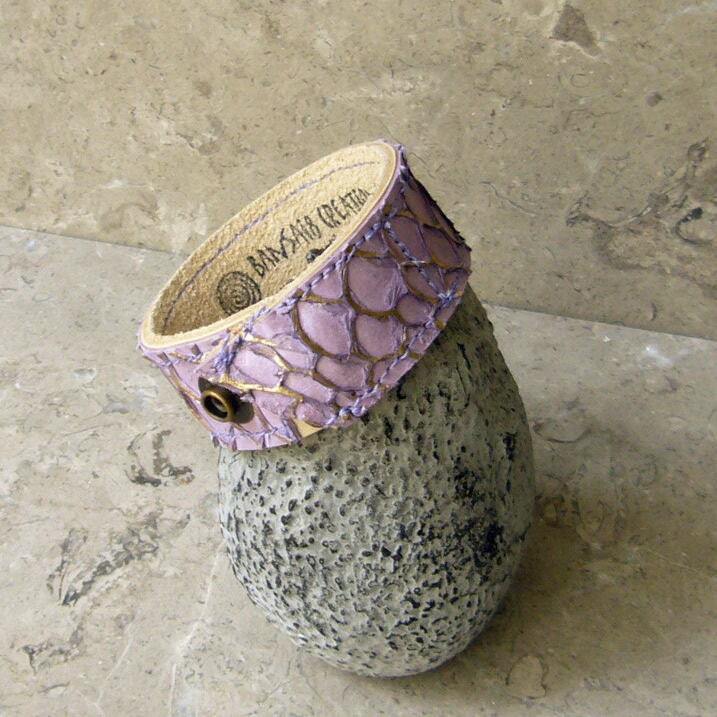 The skin is glued and edge stitched with lavender thread for durability and design accent. 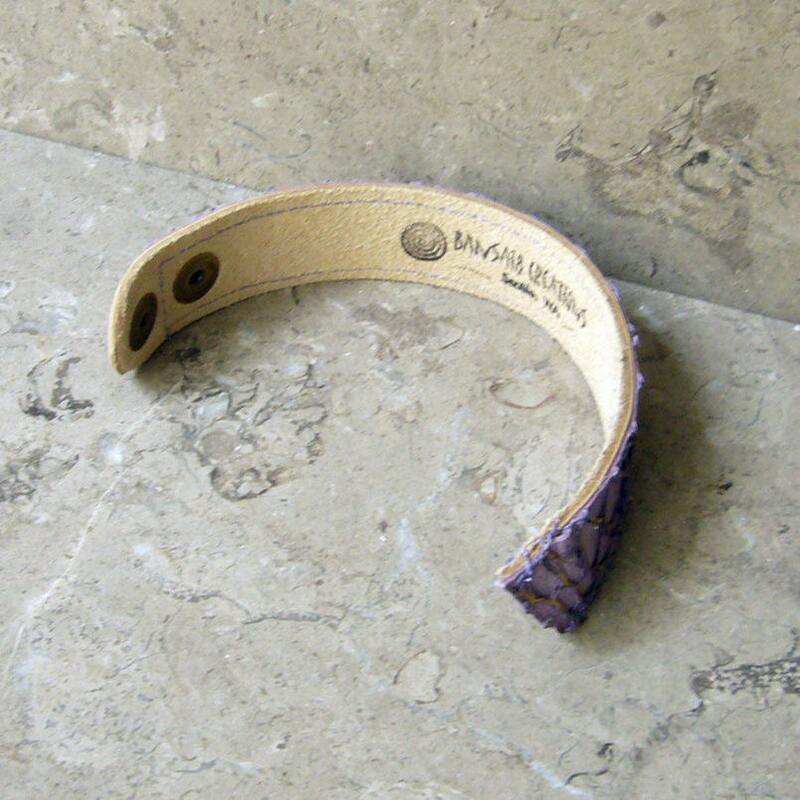 The bracelet closes at either 7 1/2" or 6 3/4" between the two male snap ends, and due to the thickness of just over 1/8", it best fits wrists about 6 1/4" to 7". I only have a limited amount of this carp skin, but if you need a different size, please let me know and I should be able to make it for you.